KAMPALA. Nine people facing treachery charges in connection with the 2014 botched attack on Kabamba Army Barracks in Mubende District have formally applied for Amnesty before the Amnesty Commission. The nine include Nassim Namuzimule aka Hajjati, Ssemwogerere Marvin Kato, Sgt Ndugga Musaazi, Mukiibi Ali, Lumala Salongo, Biyimbwa Herbert , Kiwanuka Francis Kaheru , Matovu Solomon and Kibirige Peter. Through their lawyers of Jude Mbabaali and Company advocates and Ssemwanga Muwazzi and company Advocates, Hajjati and colleagues applied for amnesty. Four of the applicants are currently on remand in Kigo prison, five are out on bail awaiting court to approve their Amnesty certificates so that they can be set free. 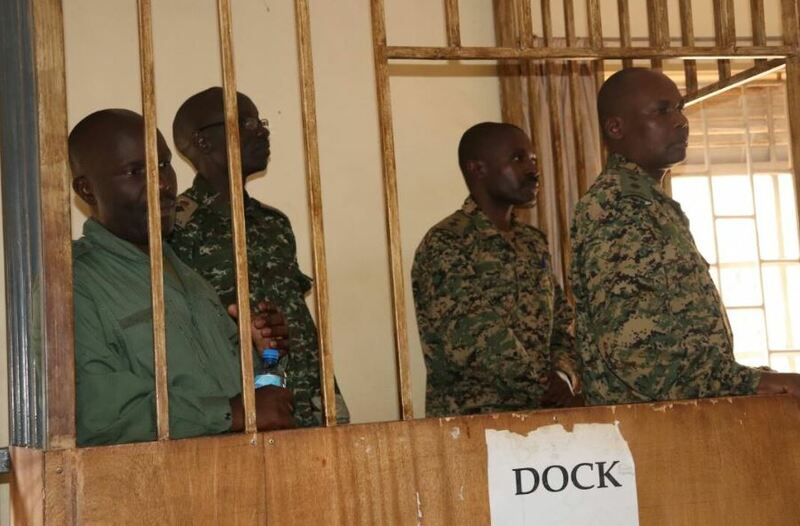 Some of their co-accused pleaded guilty of the charges against them and they were set free and dismissed them from the Army since they were serving UPDF officers. The state alleges that between February and May 2014, in the various areas of Kampala, Masaka, Wakiso, Luweero and Nairobi-Kenya, Lt Col Eguma, Capt Aleper, Lt Waibi, Pte Sekajja, and others, omitted to disclose vital information about recruitment of people to engage into activities intended to prejudice the security of the defence forces by attacking Armoured Warfare Training School in Mubende.